The Poppy Neckerchief $4.00 ;Made on a 1/2 inch gauge or 5/8 inch gauge loom with at least 20 pegs. Made 5/8 inch gauge loom with at 24 to 28 pegs, depending on size. Sized for 6/9/12 month infants. Made on a 1/2 inch gauge loom with at least 33 pegs. Made on a 1/2 inch gauge large afghan loom with at least 118 pegs. Made on a 1/2 or 5/8 inch gauge loom with at least 27 pegs. Blue Rose Shawl this pattern is currently retired. Made on a 1/2 inch gauge loom with at least 62 pegs. Geranium Petal Shawl $4.50 US The pattern was recently revised to included a second version of the shawl, and now includes the original Geranium as well as a very large, full sized version. The pattern also includes sizing for three gauges. Please follow the link to the pattern page for all of the details. The Pansy Purse This pattern is currently retired. This felted purse may be made on a 1/2 inch gauge loom with 60 pegs (or similar count) or a larger gauge loom with fewer pegs. Simple Lace Wrap $4.50 This is a great "first time" pattern for learning how to make lace on a knitting loom. The Peony Cape$4.50 This is the revised version of the Peony Cape pattern. 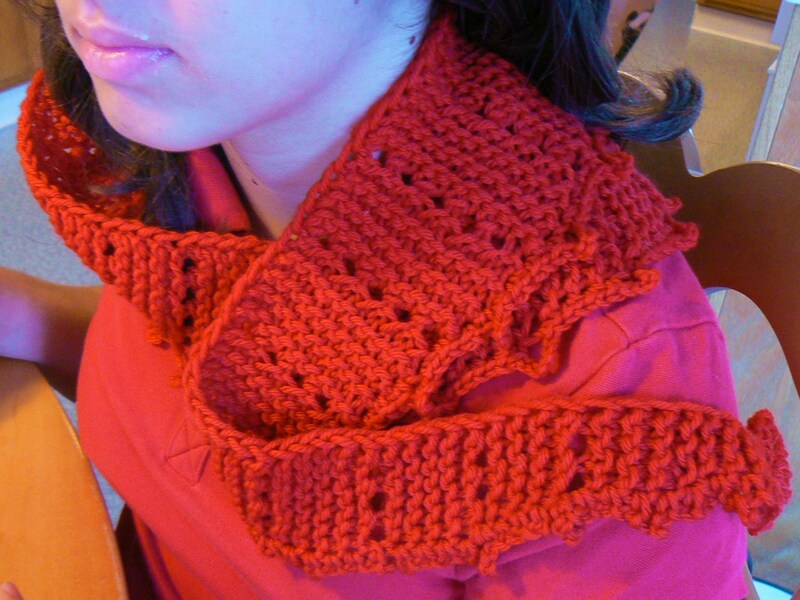 It includes two separate patterns, one for the cape with a plain edge, and one for the cape with a knitted ruffled edge. Mr. Woodhouse Afghan $4.50 Large gauge 3/4 inch knitting loom with at least 60 pegs, makes a 40 x 60 inch afghan. Afternoon Tea Cloche Hat this pattern is currently retired. Sweater Shawl This pattern is currently retired. Cowl With Two Ribs This pattern is currently retired. Lightly Laced Cowl This pattern is currently retired. Swirled Cowl This pattern is currently retired. Simple Loomed and Felted Purses This pattern is currently retired. Bow on a Cloche Hat This pattern is currently retired. Bakus Scarf for a Loom This pattern is retired. Dolly's Skating Cape This pattern is currently retired. Wedgwood Jacket $4.00 A 90 peg 1/2 inch gauge loom is used. The pattern is easily adjusted to make the jacket wider across the back, and longer. Peppermint Candy Tam $4.00 The tam is made on a 66 peg 1/2 inch gauge loom. Copyright 2009-2013 by Invisible Loom, Renee Van Hoy. All Rights Reserved. Personal use only.